Co-star of the popular YouTube channel Kaelyn and Lucy, which documented the long distance relationship she had with Lucy Sutcliffe. She and Lucy finally came together in August of 2014, ending the long distance element of their relationship. 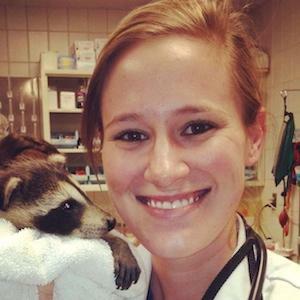 She graduated from Notre Dame Preparatory School in 2006 and would go on to earn a Bachelor of Science in zoology from Michigan State University before receiving her doctorate in veterinary medicine in 2014 from Ross University of Veterinary Medicine in St Kitts. She has worked in a veterinary emergency room in Phoenix, Arizona. She was born in Royal Oak, Michigan to parents Donna and John Petras. She and Lucy made their final video together in 2016, announcing the end of their relationship. She and Lucy were featured in a Bria Kam and Chrissy Chambers' video called "Never Let Go."